A little bit of history first.. The word beignet (pronounced ben-YAY) comes from the early Celtic word bigne meaning “to raise.” It is also French for “fritter.” Beignets are commonly known in New Orleans as a breakfast served with powdered sugar on top. They are traditionally prepared right before consumption to be eaten fresh and hot. Nowadays, they are served at multiple locations and the preferences of New Orleanians and visitors alike quite differ. They're usually divided between Cafe du Monde, Morning Call and Cafe Beignet. I have tried beignets at different spots in NOLA and, must say, they all have a special meaning for me. And I like them all for different reasons. 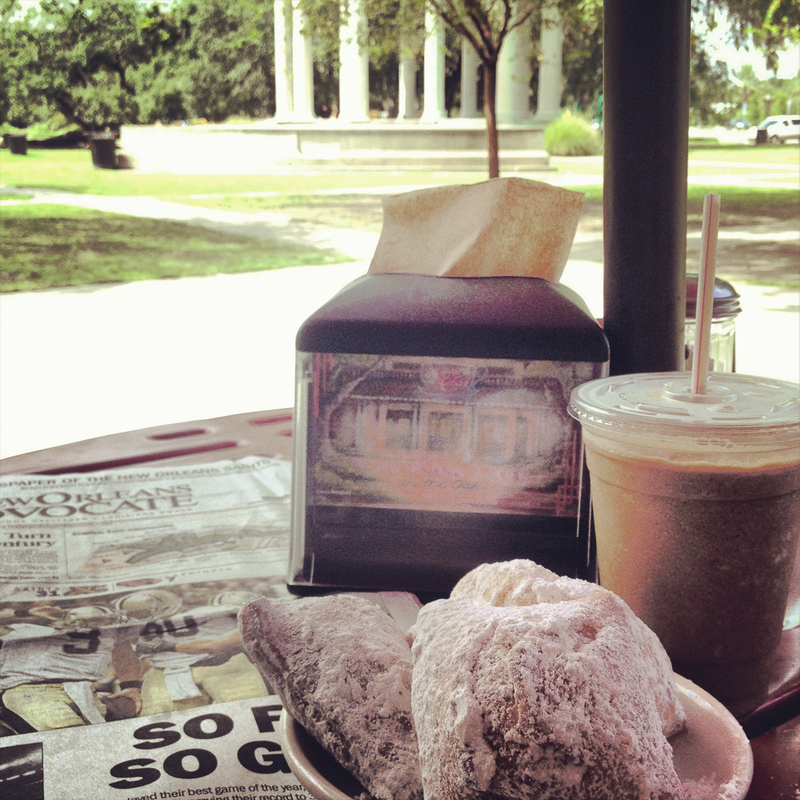 Cafe du Monde - a classic, for a very convenient location in the heart of the French Quarter and the best cafe au lait. Morning Call - for the special fluffiness of the dough and the fact that the icing sugar is served in paper bags and you get to throw in beignet after beignet and shake it to get the most sugar coverage on each(!). 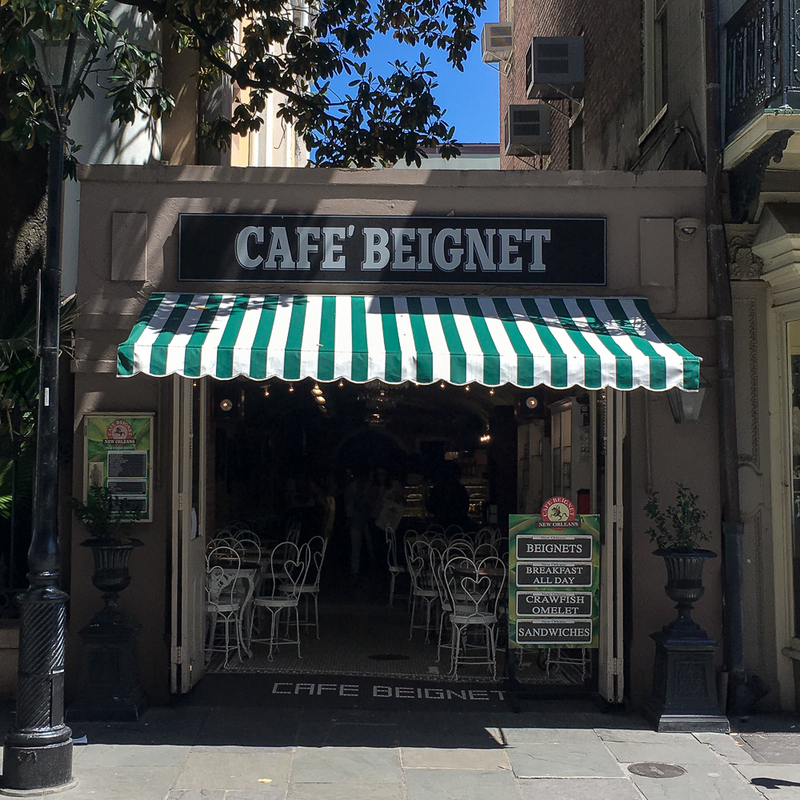 Cafe Beignet - for the atmosphere and made-to-order servings, which makes you feel really fancy. If making a trip to New Orleans is not in your cards right now, you can make these clouds of deliciousness at home. I used the recipe of my favourite food blogger and NOLA local - Joy Wilson aka Joy the Baker. You can find all the ingredients and directions right here. Make sure you account for at least an hour and a half for the dough rest time. There is also an amazingly simple recipe for OVERNIGHT New Orleans Beignets in Joy's newest cookbook "Over Easy", which I can't recommend enough. That recipe calls for the dough to rest in the fridge and develop a magical flavour overnight. All you need to do is invite a bunch of your closest friends, shape, fry and enjoy the beignets fresh and hot. Also, make sure you check out Joy's blog. Her "Let It Be Sunday" posts give me life and most of her recipes have become my staples by now.